Buy NOW on amazon.com Kindle or amazon.co.uk Kindle. While the whole angel industry and the current interest in cosmic ordering may seem new, angels and belief in the power of prayer are as old as time itself. 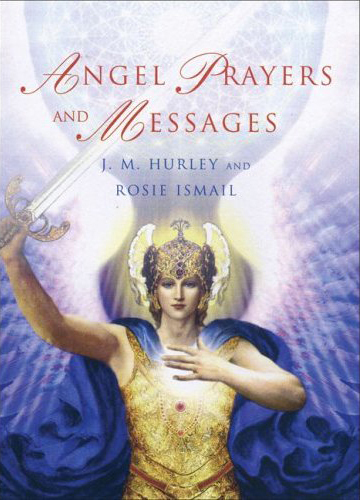 Angel Prayers and Messages covers modern ideas of manifestation and guidance but, more importantly, it is the first book of its kind to compile both modern-day and age-old prayers specifically directed to angels. The introductory chapters give a very clear and inspirational overview on what it means to pray and the act of praying itself. ‘This book opens your heart to truly hear the secret messages from your angels so your spirit can soar and blessings multiply. By following the wonderful guidance in this book you can step lightly and joyously into the realm of angels. Life, as they say, is the dash between dates on a tombstone. Speculating on where we came from or why or where we might go afterwards is not what life is about. Life is the dash in between these certainties and how we experience that dash, how we colour it, how much we fill it with pleasure or pain is down to us. We cannot choose when we come or when we go, but we can make choices in our lives that affect our attitude to our lives and the direction our lives will take. The real point and purpose of prayer is to continually bring us back to an awareness of the preciousness of life, to help us make conscious and responsible choices, to help us learn from our mistakes and most of all to help us to find a way of feeling gratitude, contentment and fulfilment in our lives. And we don’t have to go it alone! We have teachers and guides available throughout our lives (if we choose to listen to them!) and we have the Angels by our sides, always there for us and ready to help. On Sundays at 12 noon we will send healing to everyone on the list. On Sundays at 12.30 we will send healing to all animals on the list. If you want to join in at either of these times or at any time please direct your healing using your own methods or else focus on the picture below and imagine all the people on the list and your own special intentions to be in the centre of the circle of light.